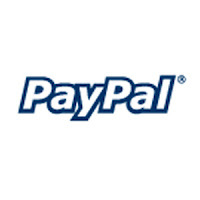 How to fix paypal SDK error "Fatal error: Class 'OAuthTokenCredential' not found"
Those who are working with Paypal SDk might have come across the error Fatal error: Class 'OAuthTokenCredential' not found"
This type of Class not found error occur mainly because of missing on Namespace in the file. To fix such errors You have to specify the Namespace just before the creation of the Class object. so the autoload class tries to load the class files with respect to the "lib" folder in the above folder path.